Are you in love or addicted. How to know when to call it quits. and how to find the courage to call it quits. Are you unable to leave a love relationship even though it gives you more pain than joy? Your judgment and self respect tell you to end it, but still, to your dismay, you hang on. You are addicted to a person. 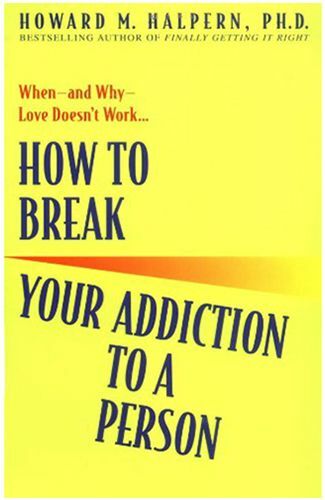 Now there is an insightful, step by step guide to breaking that addiction and surviving the split. Drawing on dozens of provocative case histories, psychotherapist Howard Halpern explains to you, Why you can get addicted to a person. Why and how you may try to deceive yourself. How you can recognize the symptoms of a bad relationship. How to deal with the power moves and guilt trips your partner uses to hold you. Why strong feelings of jealousy do not mean you are in love . How to get through the agonizing breakup period without going back.